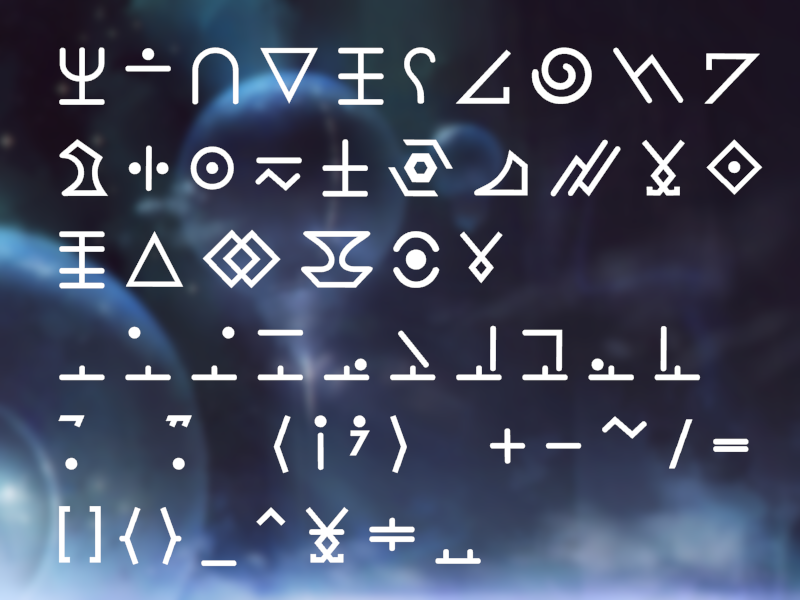 The Calling font is based on the alien (code) text which appears in TheFatRat's video for the song "The Calling" (https://youtu.be/KR-eV7fHNbM). As no official version was provided (as of this date) I decided to create it. Several characters (j, q, z and special characters) were not used in the video so I added them, trying to fit the theme of the other letters. Free for all use, have fun!